Since the acquisition of BMF HAASE GmbH (www.bmf.de), the BMF also offers industrial water treatment, which is in great demand in production plants with a high water consumption. 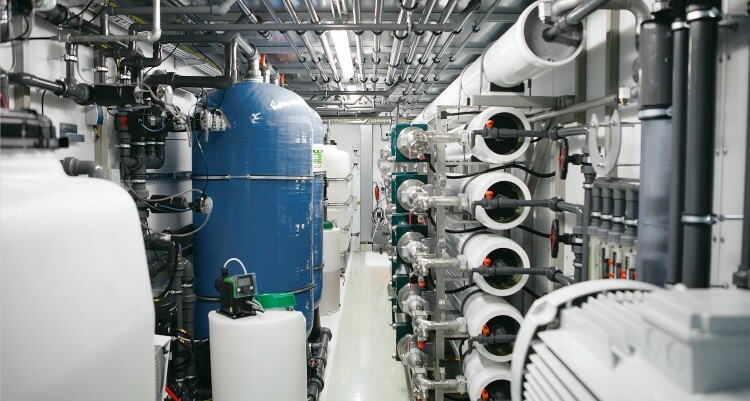 Reverse osmosis is, as a purely physical process, especially suitable for the treatment of highly contaminated waters. Flexible operation, very high cleaning performance and low operating costs characterize this method of treatment. The membrane technology integrated in biological systems (ultra- and / or nano filtration) reduces the container volume and increases the efficiency of the system.